E-commerce giant Amazon India leased more than a million square feet of office space last year as it aggressively attempts to narrow the marginal market share gap with Flipkart. According to property consultant Colliers International, various entities of the Indian arm of the US retail giant have rented about 1.2 million sq feet of office property in 2016, Business Standard reports. The properties include 100,000 sq ft in Mohan Co-operative, Delhi; 150,000 sq ft in Ambience Corporate Tower 2, Gurgaon; 300,000 sq ft in World Trade Tower, Noida; 90,000 sq ft at Ambience Corporate Tower II NH8, Gurgaon; 30,000 sq ft in BKC, Mumbai; and 350,000 sq ft at Mindspace, Madhapur, Hyderabad, the report stated. Amazon leased equal to or more space last year than it did between 2008 and 2015. A large portion of the 1.2 million sq ft of office space it rented last year would be used for seller and development services, the report said. The 30,000 square feet of office space it leased at One BKC building in Bandra Kurla Complex, Mumbai early last year would be used as its corporate headquarters. In 2015, Amazon struck a deal for a 1.3 million sq ft office space in Bagmane World Tech Centre in Bangalore at an estimated annual rent of Rs 85 crore and also opened a 280,000 square feet 'fulfilment centre' (FC) in Mahabubnagar district, about 60 km from Hyderabad. It should be noted that Amazon also operates a number of global services from India that may require office space. According to another report by The Economic Times, Amazon leased about 3.1 million sq ft of office space in India since its arrival, which is over four times more compared with the 7 lakh sq ft that its rival Flipkart has on rent. Meanwhile, home-grown Flipkart, Amazon's major rival in the Indian market, had agreed to take 3 million sq ft of prime office space in Bangalore from realty firm Embassy Group at an annual rent of Rs 300 crore in October 2014. However, a recent Economic Times report had suggested that the Indian e-commerce giant is in the process of surrendering half of it as it looks to trim costs and reduce losses. For Amazon, 2016 stands out as the year when it turned the tables on arch-rival Flipkart on several fronts, including committing mammoth investments and claiming a large market share from local rivals. The US-based company, which started operations in India in June 2013, has already invested $2 billion here. Even as its two major competitors struggle on their home turf, Amazon infused over Rs 7,000 crore ($ 1 billion) into its India unit through 2016. In June last year, founder and chief executive Jeff Bezos committed to spend another $3 billion in India, taking total investments in the country to $5 billion. Amazon's seller base grew 160% to 140,000 in 2016 and the company is adding 180,000 products per day. Besides, it has also deepened its India play by offering services beyond e-commerce. It ventured into the beauty services segment, launched a video-streaming service, Amazon Video Prime India, and even introduced a programme for startups, Launchpad, to market their products to Amazon customers across the country. Amazon has really hit the gas ever since it scored a lead over Flipkart in terms of sales in July and August 2016 (excluding sales at Myntra and Jabong). It claimed to have surpassed Flipkart as the most downloaded mobile app on Play Store and Apple Store in the first quarter of last year. 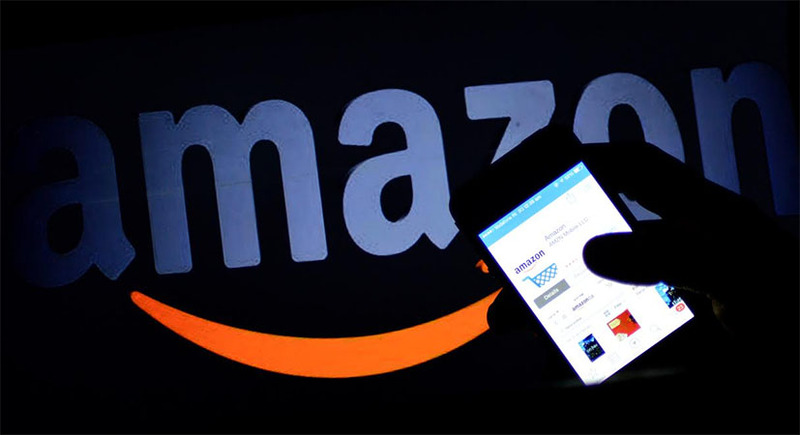 Moreover, a report from technology and market research firm Forrester said that Amazon has, for the first time since 2014, beaten Flipkart as the preferred online retail destination for consumers in metropolitan areas.